Note: Contains potential spoilers for From Software’s Dark Souls, Dark Souls II, and Bloodborne. In 2012, my understanding of what a video game world could look like changed forever. Dark Souls, From Software’s deliciously difficult action-RPG masterpiece, had recently been released for Xbox 360, and over the succeeding months, I’d watched my newsfeed get buried beneath an avalanche of glowing reviews. Friends shared posts celebrating the herculean feat of merely finishing the game. FOMO kicked in. Apparently, I was missing a revolution. So I shouldered my masochistic burden and decided to give Dark Souls a go. The game proved to be everything people had said it was—incredibly challenging, occasionally frustrating, but as even-handed in its dispassionate punishments as Solomon himself. I played it so hard that my fingernails chewed holes through my analog sticks’ rubber. But it wasn’t the difficulty that spurred me on through death after death until the wee hours of the morning. Nor was it the breathtaking gothic setting, nor the deep, opaque lore. If we linger by the fireside, our embers fade to ash; but if we press on forward, we can be the ones to bear a torch into the shadows and help others to see. If you haven’t played a Souls game before, this probably sounds absurd. But those who have will tell you that one of the landmark features of the Souls franchise is the innovative way in which it gradually unveils its world to the player. Whereas most action-RPGs tend to rely on either “gated” or “open” approaches to area progression, the Souls series (as well as its sister game, Bloodborne) draws fully on neither. 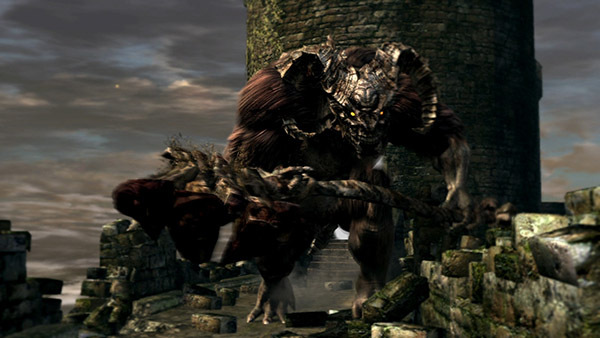 Instead, each game’s world, from Lordran to Drangleic to Yharnam, is presented as an interconnected whole, with areas linked together by locked doors, hidden ladders, and long, dark passages teeming with enemies. As you make your halting progress, it’s not uncommon to come across a roadblock, only to find a key, switch, or item later on that turns that roadblock into a shortcut back to a previous area. And that’s important, because it’s in those safer locations that you’ve likely lit bonfires, the checkpoints that allow you to rest and recharge your health flasks. And trust me—you need those. The first time I discovered one of these pathways back, my brain nearly exploded. For hours, I’d been hacking (and dying) my way through Lordran’s Undead Burg, pursuing a huge red dragon that’d made a momentary appearance to roar in my face before flying off into the sunset. I wanted to slay that thing…badly. Before I could, however, I had to face down a city roofscape full of respawning undead whose greatest purpose in un-life was to stab, slice, pierce, and blast me into oblivion. Oh, and there was also this guy. It was hard, exhausting work, with each of my frequent deaths sending me back to a bonfire I’d lit in a tower at the beginning of the zone. Imagine my delight, then, when I kicked down a ladder I’d stumbled upon in an otherwise uninteresting room and found that it led back to my beloved tower bonfire. It turned out that as I’d wended my way through the Burg in search of my draconic prey, I’d actually made one big loop. With the ladder now released, I could ascend it easily and skip the entire ordeal. The emotions I felt when I realized this were unexpected and powerful. Of course, there was relief—I now had a foothold that would allow me to grasp toward my next challenge with greater ease. But there was also awe and wonder. All of a sudden, Lordran felt like a real place, a world in which real people built real structures whose architectural purpose wasn’t just to provide the backdrop to my little adventure. My perspective also changed. I now saw myself for what I was: a small, quivering wanderer surrounded by a vast, interlocking world, crouching close to the fire, trying to keep my embers alight. I’m not the first to suggest that it’s this realistic interconnectivity that gives the Souls series its je ne said quo, as opposed to its punishing difficulty. In fact, despite Dark Souls II’s marked increase in difficulty, it fared worse among critics, many of whom shared Marty Sliva’s disappointment in the fact that Drangleic felt “more like a large collection of levels than one natural single world.” Bloodborne, meanwhile, has been praised for both recovering and improving upon the revelatory geography of the original. All of this makes me wonder: Just what is it about this kind of progression that feels so satisfying? What can make the discovery of a side path as thrilling a victory as the slaying of a giant sword-wielding wolf or a shambling heap of rotting corpses? One answer to these questions can be found in the way many thoughtful Christians experience doubt as their faith grows. If a follower of Jesus takes seriously the biblical call to love the Lord our God with not just the heart and soul, but also the mind—all of it—doubt is unavoidable. We are bound to eventually come up against a truth that challenges our presuppositions—the evolutionary evidence of the fossil record, for instance, or the long, dark history of church-sponsored atrocities. In the long shadows of such apparent threats to our faith, it’s easy to balk, to hunker down and sit safely by our dim, flickering flame. But that’s no way to grow, either in Soul Level or in Christian maturity. Doubt requires courageous endurance to confront—and as Paul writes to the Roman church, that endurance crafts the character that ultimately produces hope. If we linger by the fireside, our embers fade to ash; but if we press on forward, we can be the ones to bear a torch into the shadows and help others to see. What’s more, as we face down our doubts, something pretty amazing happens: we find ways back. In college, for instance, confronting the canonical controversies that shaped Scripture causes many to feel that the Word of God is being stripped of its power. Through the encouragement of professors and pastors, however, some press on to discover that their appreciation for the Bible’s history has only deepened their love for its truths. In fact, the most faithful (and orthodox) Christians I’ve known are those who chase their doubts down through the wilds of uncertainty until they eventually lead back to more enduring assurances, more restful safe havens. 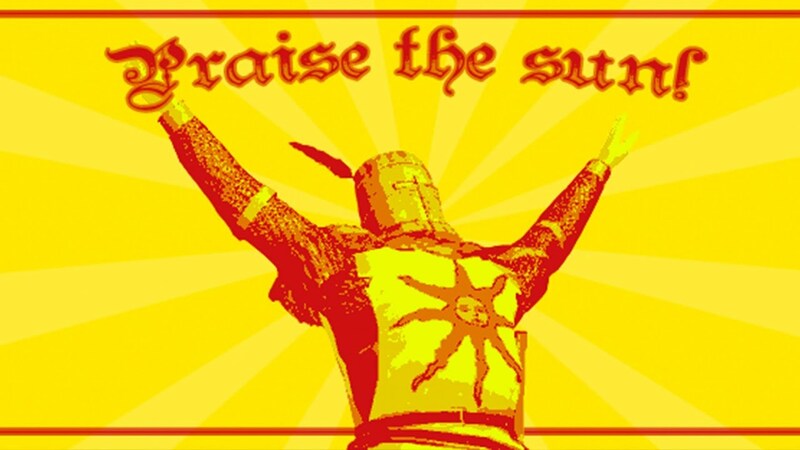 In just a few days, Dark Souls III will be released worldwide. Hopefully, despite some early reports to the contrary, the world-builders at From will have recognized the central truth that defines its series: challenges feel most meaningful when they eventually recede to reveal the familiar in the light of a new and brighter sun.